We must engage our culture with love and care as we point our neighbors and our leaders to a greater truth that embodies the very aspect of our mission. Forty-five years ago, America ushered in a new era for future generations. An era that would bring about destruction to women, men, the unborn, and families. I realize that my description is aggressive, but Roe v. Wade was an aggressive court case that we continue to suffer from today. This truth breaks my heart, but it doesn’t break my hope in a future that sees abortion as a footnote in history. We have made great strides at the local, state, and national level in terms of policy and legislation. We have witnessed court cases go in the favor of life, and we anxiously await a case concerning pregnancy centers in 2018. The pendulum is beginning to shift and swing in the right direction as we see more and more politicians stand boldly for life. I have followed the politics of abortion for much of my adult life. I have a number of conversations every year with community leaders on this topic as I seek to assist in the pro-life narrative moving forward. I believe these conversations are important and necessary as we move our state and federal government in the life direction on the issue of abortion, and I will continue to speak out as long as I am afforded the platform. However, my speaking out and my desire to see legislation and policies that reflect a robust life-ethic is not where my hope finds its home. I am deeply interested in state politics, but my hope is not in our state capitals. I long for the day that our leaders in Washington, D.C. would act and put an end to abortion, but my hope is not found in the Senate or the House. I look forward to the day when our Supreme Court would rightly overturn Roe v. Wade, but my hope is not in nine men and women robed in black. I care deeply about the person that calls the White House home, but I do not look to the Oval Office for my hope. Frankly, as an Executive Director at one of the largest pregnancy centers in the Southeast, I do not place my hope in a pregnancy center to ultimately see abortion ended. Instead, I choose to place my hope in God and His people. True change will occur when we exchange ideas with our neighbors in our cities, towns, and subdivisions. This exchange is paramount if we hope to see abortion become a thing of the past. This type of culture engagement is what William Wilberforce called the Reformation of Manners. Wilberforce fought against slavery before slavery was unpopular. Wilberforce believed that engagement in the political sphere was important, but he knew that this engagement alone would not bring about abolition. He believed that culture engagement played a much larger role in seeing a shift in policy. Laws and court decisions oftentimes reflect the hearts of the people. You win the people and you win the day. Some may argue that 45 years is a mere blip on our nation’s long history, but this blip has ended the lives of over 60 million and has affected countless lives in its wake. There is no denying that during this time we have had solid pro-life leaders populating our government and our courts, but here we are years later facing another year with abortion as the law of the land. I will not stop engaging the political sphere for life, but focusing all of our efforts in that arena would be a mistake. We are on the cusp of seeing a monumental shift in our country for life. The momentum is in our favor and the long arduous fight is bearing fruit. This gives me a great deal of hope in our future, but now is not the time to rest. 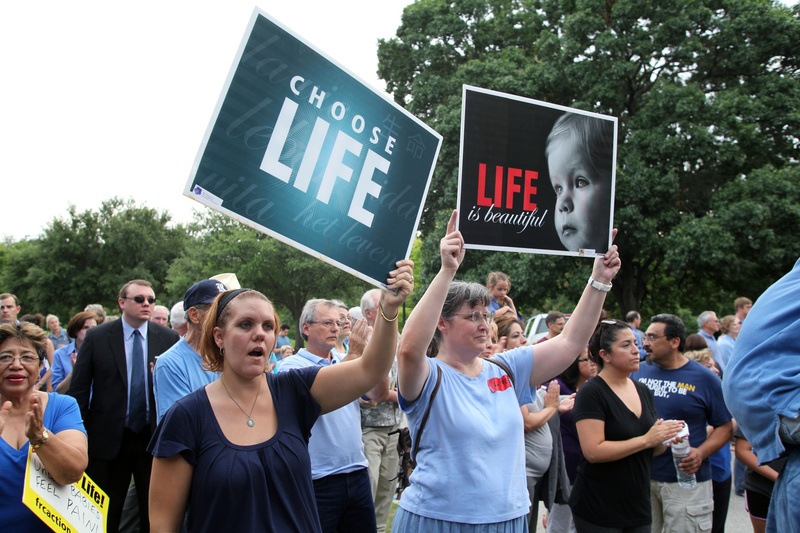 We must continue to stand and proclaim the value of life. We must engage our culture with love, care, and boldness as we point our neighbors and our leaders to a greater truth that embodies the very aspect of our mission. A mission, mind you, that says every life, no matter its race, political persuasion, gender, or religious affiliation began at conception and is worthy of protection. A new day is upon us as abortion clinics are closing, women, men, and their babies are being loved, and eyes are being opened to the truth of abortion and life. This is a refreshing truth in 2018. These truths, however, beg a question. On what side of history will we stand when our descendants look back and read about the rise and fall of the abortion industry in this country? Will we be fondly remembered or will they wonder why we stayed silent as friends and neighbors were aborted and treated like a commodity? These are difficult questions, but they deserve our contemplation and time as we seek to impact the communities we call home. I pray these questions would motivate us to engage and love those around us as we seek to mirror the Wilberforces before us and reform the manners of our day.